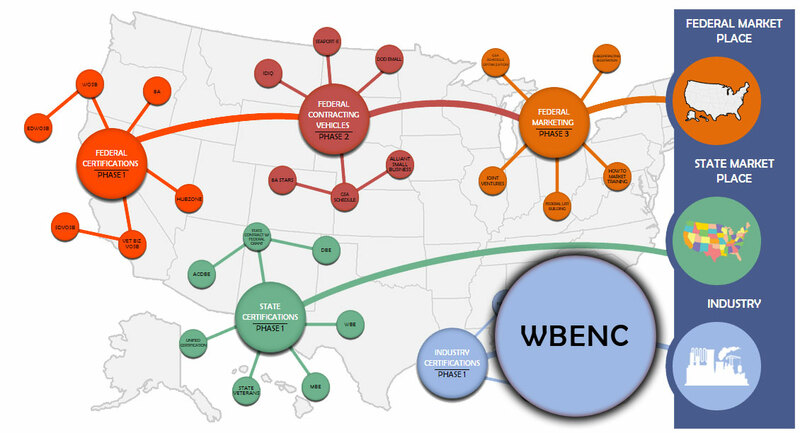 The WBENC is the leading nationwide third-party certifying organization for Women's Business Enterprises (WBEs). Its certification is the most widely recognized private sector certification in the U. S. and is accepted by hundreds of corporations (its’ primary use to target major corporations). WBENC Certification is the national standard for woman owned businesses and, via WBENCLink, provides purchasing managers with access to over 10,000 WBENC certified companies. The benefits of certification also include: (1) Access to mentoring, education, and capacity development; (2) Eligibility for regional representation and national recognition; (3) Eligibility to promote your business through use of the WBENC certified WBE seal on your marketing materials and WBENC sponsorship at national events; and (4) The WBENC as your company’s advocate on key women’s business issues. Majority owner and operator of the business is a woman. The relatively simple eligibility criteria begets the extensive documentation required to validate that the owner and operator of the business truly is managing the company.